Abstract – The provision of education should be based on the wishes of the people who will benefit. This is why this presentation is focused on the right to education of minorities and on adult literacy. The aim is to produce citizens who know their rights and duties. 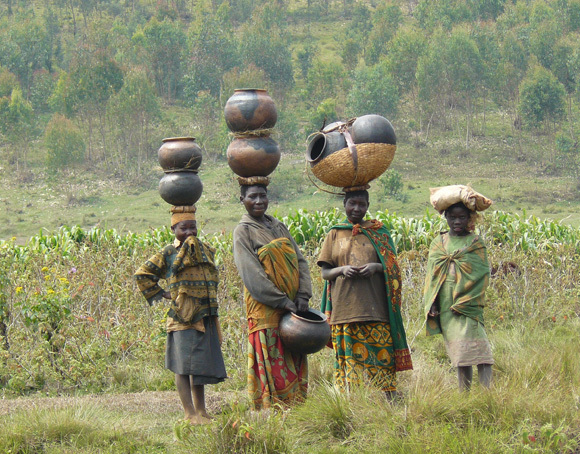 The two themes are drawn from best practices as recommended by the network of indigenous Batwa associations in Burundi. Strategies for implementation of these objectives should take account of the socio-economic context in which these minorities live. As Gorgui Sow says so well in his ar ticle Literacy in Africa: It’s in our own hands, “a democratic and egalitarian Africa will be made from well-educated African citizens, aware of their rights and responsibilities” (Sow 2013). It is a reference to the right to education, proclaimed in the International Covenant on Economic, Social and Cultural Rights. The Batwa community in Burundi is today a concern for the defenders of human rights. They need to be supported. Is it possible that in this era, our twenty-first centur y, their expectations may be considered in order to help them emerge? What is the role of education in meeting their expectations, their integration and their participation in political life? The current primary school reform in Burundi tends towards full free education for all children until the age of 16, including children from minority communities. But what about adults? Who are the Batwa and what is their lifestyle? Why should the Batwa community be a concern for us? To understand that you need to know who and what the Batwa are. The Batwa are thought to be the original inhabitants of the forests of the Great Lakes region of East Africa bordered by Burundi, Kenya, Rwanda, Uganda, Tanzania and the Democratic Republic of Congo. They are part of a larger group of people living in the Central African forests commonly known as “pygmies”. being challenged by modern utensils made out of aluminium. In Burundi, the Batwa are full citizens; they can enjoy all the rights of citizens. That is, at least in principle. Unfortunately, according to Elias Mwebembezi, a missionar y in Africa, they are landless citizens. They are mostly poor and disadvantaged, living on the margins of society. They are estimated to be 2% of the total population and are a real social minority who until recently was despised and marginalised. Their poverty is due to a lack of land, making it hard to get enough food, money for clothes, housing and medical treatment. They are despised because they are considered to be a socially inferior class, comparable to the pariah castes living on the Indian subcontinent. Traditional society did not allow eating, drinking or even marrying the Batwa, though they are full-fledged citizens. They are marginalised as well as excluded from all spheres of society, from its organisations and institutions. They have never received allocations for better health, for the education of their children, nor other social or political benefits. They are left with the impossibility of coping with the challenges of current realities. However, it is a community that is already aware of its situation. They protest against exclusion, of which they are historically victims, and no longer want to remain marginalised and forgotten. It is in this context that their association, named UNIPROBA (Unite for the Promotion of Batwa), was established in 1999. Without much ado, the President of UNIPROBA, Senator Vital Bambanze, said in 2012 that the Batwa community requires more considerations. This was on the occasion of the celebration of the International Day of Indigenous Peoples. In the field of education, 3 Batwa are already graduates of higher education, 10 others are still in university and 20 graduates of secondary education have been recognised. The expectations of these people converge towards their integration into public life. 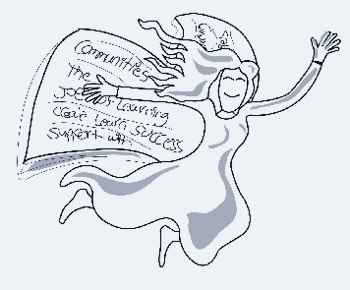 To achieve this, the main strategies advocated include supporting the education of children belonging to minorities, adult literacy, economic empowerment and education rights of minority populations. It is clear that the government has already anticipated Batwa expectations. In fact, they have begun to realise the need to do something for them. This is why the Constitution of Burundi provides for the appointment of three Batwa who currently sit in Parliament. This has led to a strong demand for schools to increase staff with immediate effect since almost all children go to school. Efforts are being made to meet the Millennium Development Goals for universal education by 2015. The free primar y education reform includes the Batwa children. Even though they were forgotten for a long time, they no longer live in the forest as in the past. Today they manage to build their makeshift homes in the same administrative units as the rest of the population. The most af fluent in the community practice animal husbandry and agriculture. This integration leads them to gradually settle and then have access to school. They share the school benches with other children their age without difficulty. The only obstacle remaining is poverty, manifested by lack of food, lack of hygiene and the problem of clothing, even if school is free. Poverty is today a real threat leading to school drop-outs. Aside from the education of children, another strategy needed is for adult literacy. This strategy is the most important of all because it goes straight to the point without having to travel the long distance to school. It can be organised at each administrative base, close to home. It is the best method to apply to face situations of mass illiteracy. According to Bhola, “literacy is the ability to read and write in a mother tongue or in a national language when cultural and political realities require it”. This is easy in Burundi because all members of the population communicate using one native language, Kirundi. It is an opportunity not to be overlooked. Adult literacy attracts much more attention when it deals with an active population. The goal of literacy is not the skill itself, but what it can be used for. A literate population can contribute directly to the building of society and the development of the entire nation. Seen this way literacy is a national asset, not a costly programme. The literacy sessions should focus on topics related to integration into economic life and education in democratic values, because the objective is the fight against pover ty and for democratic emancipation. There is a minimum of instruction which needs to be acquired in order to be able to integrate into institutions and participate in political life. Bhola sees that basic education is a source for objectivity and for the formation of personal opinions. It enables logical analysis and the ability to think abstractedly. It helps create a sense of history and the universal. That is what it takes to fit into the stream of life. That is what is sorely lacking in someone who has always been the object of exclusion and contempt. When you are on the outside, you fail to integrate into institutions and participate in political life. Education frees the individual from feelings of inferiority and a relationship of dependence and servitude. It bestows a new status and new horizons are opened. From this perspective, adult literacy goes hand in hand with poverty eradication, the capacity building of women, the guarantee of a healthy lifestyle, food security and promotion of the means for livelihood. The very process of literacy gives the feeling that a world has arisen where all social groups, all individuals have something in common, beyond differences in economic status. We can definitely say that education gives birth to democracy as well as to equality of circumstances. This is what the representative of the Of fice of Human Rights in Burundi, on the occasion of the International Day of Indigenous Peoples in 2012, referred to as the concepts of awareness of their situation and the evolution of attitudes. This was also a recognition that the progress already made in favour of the Batwa is sensible. The Government now has to implement the policy of integration and ensure that the necessary means toward integral development are in place. It is clear that education is the starting point for any programme that wants to implement democratic ideals for sustainable development. All uneducated people are imper vious to development. For the Batwa it takes a combined ef for t. The Batwa community, the policy makers and representatives of the international community involved in the defence of human rights must join forces. This is the only way to reach emancipation and the possibility to enjoy civil rights. Belloncle, G. (1984): La question éducative en Afrique Noire. Paris: Editions Kharthala. Bhola, H.S. (1986): Les campagnes d’alphabétisation. Paris: UNESCO. Sow, G. (2013): L’alphabétisation en Afrique repose entre nos mains. In: Education des adultes et développement 80/2013. Venant Nyobewe is a historian by training. Most of his career has been devoted to education, first as a teacher, then as an administrative of ficer, then as a policy- maker. He has been Director General of basic education and then Chief of Staff at the Ministry of National Education. Post- graduate training in human rights and peaceful conflict resolution allowed him to become more familiar with the topic of education from the perspective of human rights. von Kotze, Astrid - Vrygrond in a changing world – what difference can Popular Education make?